This hair is genuine 100% Virgin Brazilian Hair weave/weft, individually packaged in 3.5 oz plastic packets. Hair is wavy but can be flat ironed or curled up with rollers, curling iron or flat iron to any style as needed. Because it is virgin hair with the cuticle intact, it can be dyed to any color shade. Our Brazilian wavy hair closures will really pull your hairstyle together. 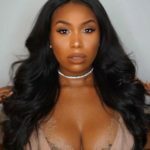 Hair closures are an essential when you have a full weave because they allow your hair extensions to blend and look more natural. With our hair closures, you’ll always look your very best. At Mercy’s Hair Extensions, all of our products feature virgin hair, including our Brazilian wavy hair closures. Virgin hair is all natural and free from any kind of chemical processing. It is from a single donor and can be styled in any manner, just like your own natural hair. With our hair closures, you’ll be starting off with a perfect blank canvas to achieve the hairstyle of your dreams. 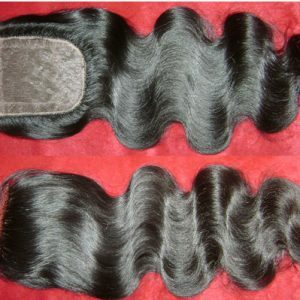 Brazilian hair is soft and lasts a long time in our Brazilian wavy hair closures. Its natural smoothness can be felt by running your fingers through the hair. For a silky smooth head of hair, these closures are the ideal starting point. Your hair will look natural and blend no matter what style you choose from day to day. As with all of our products, our Brazilian wavy hair closures are meticulously put together. They run all the same direction in order to help avoid tangling and matting. 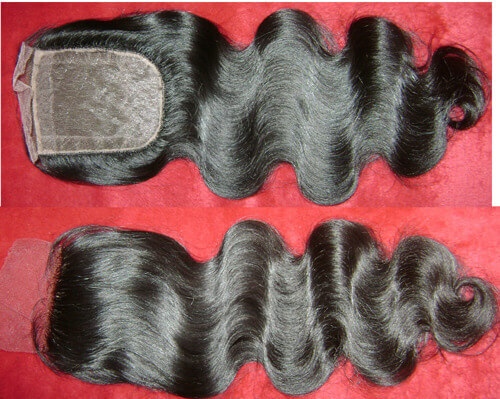 Our Brazilian closures are naturally black with a medium to low luster. They are easy to care for and style so you’ll be able to get just the right look you want. Our goal at Mercy’s Hair Extensions is to make you the envy of your friends, because we want you to look stunning!